Don’t forget To Vote September 21-25! 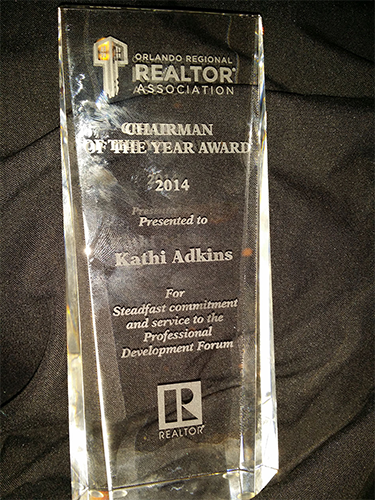 Hi, my name is Kathi Adkins. Happy to have you visit my site. I have been volunteering at ORRA for many years and felt running for director was the next step. I am in trenches just like you all, helping my clients buy and sell their homes and investment property. I see what needs to be done, I see our challenges and I see all of us working hard to serve our clients. You will be voting for new leadership, a changing of the guard if you will. Vote in a no nonsense team that will meet those challenges head on. 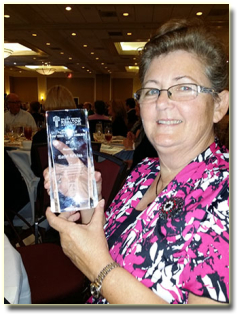 This year I was honored to be chosen Chairman of the Year. 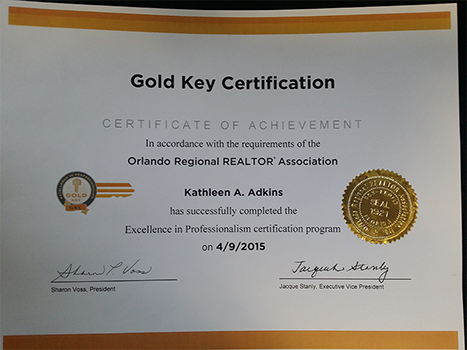 I am also on the Professional Development committee for ORRA and Florida Realtors. By being on the Professional Standards Committee I have seen first-hand the issues we deal with every day when it comes to ethics complaints and professionalism issues. I believe we should always strive for a higher level especially in the eyes of the public. I am ready to meet those issues head on. I would appreciate your vote for Director September 21 through September 25. If you would like to discuss our business or have any questions please email me at kathi@TheRealtyFactor.com or call 407-310-7524 .